Wayne Pacelle, CEO of The Humane Society of the United States, tells FOXBusiness.com’s Jade Scipioni that an incredible revolution is happening in businesses in regards to animal protection. 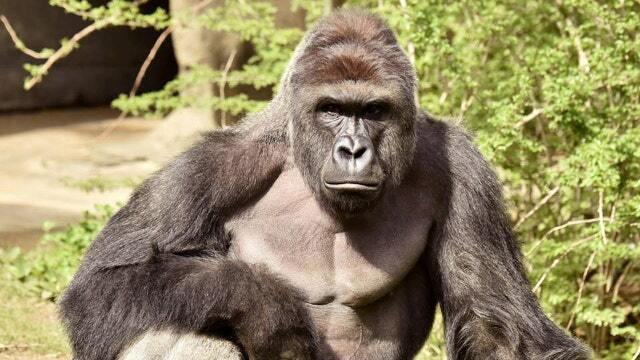 Even before the backlash of Harambe, the Cincinnati Zoo gorilla who was shot and killed after a three-year-old boy fell into his exhibit, major corporations and high profile CEOs were already shifting their business models in regards to animal protection. In the last eight months, over 175 of the biggest food retailers including McDonald’s (NYSE:MCD), Wal-Mart (NYSE:WMT), and General Mills (NYSE:GIS) announced plans to stop using eggs from factory farms that confine chickens in battery cages. “We saw that Wal-Mart and McDonald’s really wanted to learn about the back story on how animals are raised. I think they recognize that it’s a risk if you have animal cruelty built into your supply chain,” he adds. And, it’s not just food companies changing. In March, SeaWorld Entertainment (NYSE:SEAS) announced they will end orca breeding and stop using them for all of their theatrical shows. “SeaWorld’s stock went from the mid-forties to the teens after that documentary came out,” Pacelle says. In May, Ringling Bros. and Barnum & Bailey Circus announced they will stop using elephants in their shows after several animal right groups repeatedly criticized them for their treatment of animals. Luxury fashion designer Giorgio Armani also took a stand against animal cruelty this year by pledging to end his company’s relationship with fur. The designer’s Fall/Winter 2016 collection will no longer use real animal fur. “We think there is now an incredible opportunity for companies to do the right thing and to market themselves and sell themselves as socially responsible,” Pacelle says. He also adds while change is in the air, there is still a lot of work that needs to be done. Another big issue for 2016 he says will be to end animal testing for cosmetics and drug efficacy.